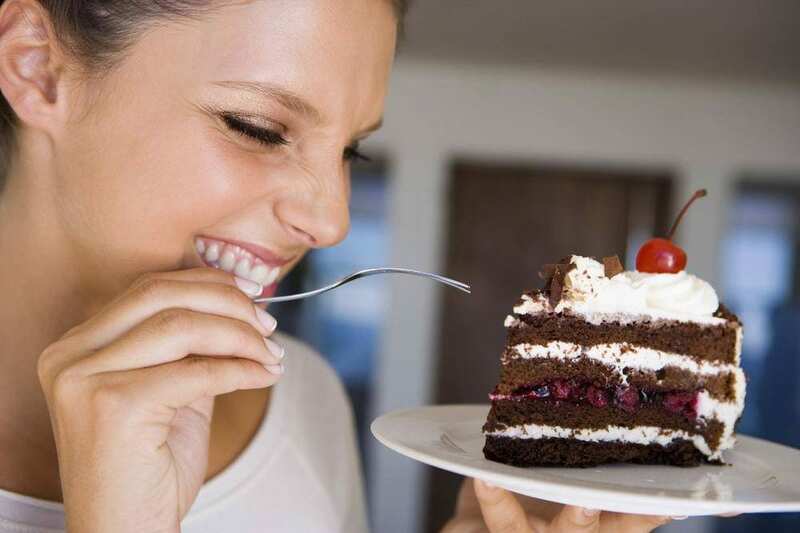 Food cravings are common, but they tend to be worse while you’re dieting. Yet there is no time when you’ll need to control your cravings more than when dieting. Fortunately, controlling food cravings is possible when you make the right food and lifestyle choices and have the right mindset. Here are eight ways to control cravings while dieting. Skipping breakfast not only makes you hungry; it also drives your body to over-compensate later. This is why skipping breakfast to try to save calories leads to over-eating later. It contributes to binge eating, as well. The solution is to eat breakfast in the morning, even if it is a small, low-calorie meal. While you may be tempted to wolf down your food when hungry, this is actually the last thing you want to do. Instead, you should eat slowly. This allows you to savor the food and helps satisfy your cravings. Your body gains a greater sense of fullness, which will reduce hunger pangs. Try drinking water or low-calorie beverages during your meals to force you to slow down food consumption. One way to control hunger cravings is to drink more water. Drinking eight glasses of water a day helps you stay hydrated, and that, in turn, prevents you from feeling tired. Then you aren’t going to crave sugar snacks for an energy boost. For a fraction of the population, hydration is all the more important because they mistake thirst signals for hunger. In these cases, drinking a lot of water can save you from eating when you really need to be drinking. Drinking water along with snacks can reduce how much you eat as well. Protein tends to be absorbed slowly by the body. This prevents the rush and crash that comes with sugar and carbohydrate consumption. You’ll be able to manage cravings by eating small amounts of protein every few hours. On the flipside, you need to watch your sugar intake. Avoid corn syrup, sugar, maltose, and other sweeteners. This means that sodas and sweetened juices are not a good choice if you’re trying to control your cravings. The high sugar content will not satisfy your hunger, and it can leave you craving more. If you’re eating the same, boring, bland foods, you’ll start to crave other foods. In contrast, if you make your healthy, predetermined portions more attractive, you’ll appreciate them more. One solution is adding more spices to them, which will add flavor without adding calories. And try to watch your sodium intake when you do. Another approach is changing how you prepare the food or trying novel foods that are still within the diet plan. Try chicken and vegetable stir-fry instead of steamed chicken and broccoli. Try new vegetables that have the same low calorie, high fiber profile as those you regularly eat, so you’re not tired of carrots, broccoli, and cauliflower. Or mix your ingredients to make tacos and casseroles. A 2008 study found that all forms of aerobic exercise regulate appetite. When you’re walking, jogging, playing sports and engaged in other physical forms of activity, your mind is distracted from your hunger temporarily while the activity interferes with the sense of hunger. You’ll burn energy too. After the workout, drink a lot of water. If you’re still hungry, then eat your normal snack or meal. One way to manage hunger is to snack strategically. Opt for low-calorie density foods like nuts, vegetables, and low-fat dairy. Protein will be your best friend if you’re a heavy snacker, as adding more protein to your diet and fewer carbs will force your body to use fat reserves for energy. Protein also has the added benefit of revving up your metabolism since it demands more energy to be digested. If you’re looking for high protein, keto friendly snacks, you could try this BHB sample pack from KetoLogic. Another option is chewing low-calorie gum. The act of chewing gum reduces hunger pangs, and the flavor of the gum could nullify sugar cravings. Chewing gum before meals tends to reduce how much you eat at the meal. It will also solve the problem of “bored eating”, the tendency to go grab a snack so that you have something to do. Not all stomach pains are due to hunger. Drinking water or a similar hydrated beverage can solve the issue if it is due to thirst. However, stomach pains may be caused by something other than hunger. If drinking and eating a sensible meal don’t solve your stomach pains, don’t go for a second course – seek medical attention. We should eat to live, not live to eat. Food cravings and hunger pangs are a normal part of life, and they’re more common when you’re on a diet. However, you can learn to mediate them so that you can stick to your diet.